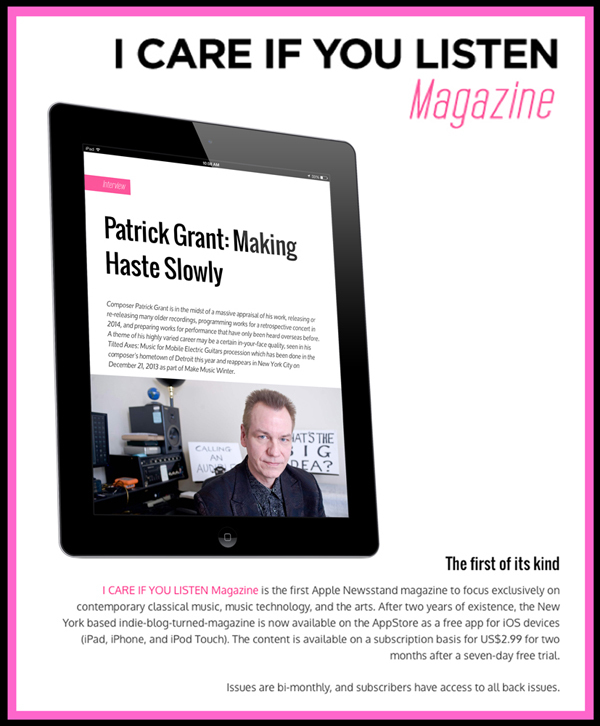 I CARE IF YOU LISTEN Magazine is the first Apple Newsstand magazine to focus exclusively on contemporary classical music, music technology, and the arts. After two years of existence, the New York based indie-blog-turned-magazine is now available on the AppStore as a free app for iOS devices (iPad, iPhone, and iPod Touch). The content is available on a subscription basis for US$2.99 for two months after a seven-day free trial. 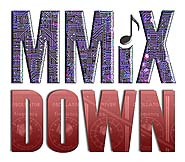 Issues are bi-monthly, and subscribers have access to all back issues.